Quoizel Lighting Hyacinth Collection Pendant ceiling light in traditional style, has voltage rating of 120-Volts and power wattage of 300-Watts. It has a dimension of 22-Inch x 26.5-Inch x 22-Inch. 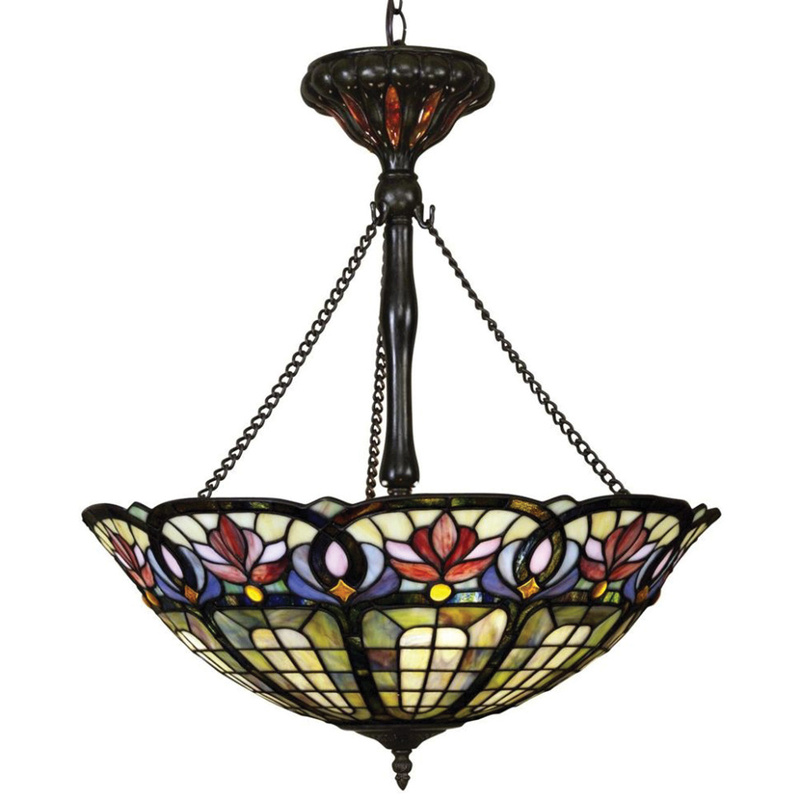 It incorporates medium type socket and tiffany hyacinth glass-tiffany glass shade. This light accommodates three 100-Watt A19 incandescent lamps. Vintage bronze finish on outer resin-steel surface of this light ensures better look and corrosion protection. It contains an 8-ft long lead wire and comes with 48-Inch chain.